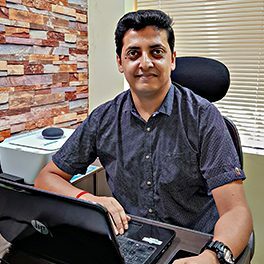 Jitesh brings in 10+ years of experience in Sales and Marketing. From starting his career as a sales executive to wearing the entrepreneurial hat for the second time with Digital Concepts he packs all the traits for generating business, maintaining strong relationships with clients and delivering results. Making strategic decisions to increase clientele is his forte and every new project is a learning experience. Besides being a passionate salesperson he loves wearing a shutterbug’s hat and has had his images published in some of the most revered photography platforms.